On a dark stretch of road outside of Chicago, in a town called Justice, Resurrection Mary introduced me to the ambiance of the phantom hitch-hiker. I was 16 years old, sitting in the backseat of my friend’s car as we drove down Archer Avenue at midnight. When we hit the darkest part of the road he turned off the lights and let up on the gas, dropping the car down 30 miles per hour under the speed limit. With experimental naiveté we were hoping that such peculiar behavior would increase our chances of meeting a world famous apparition. The two police officers that pulled us over for reckless driving were less sure of our research methods. Confused, bemused and annoyed, they questioned us for over an hour with indignation at the allure she still held for legend trippers after so many years of her tale being retold. Weiser Books reissue of Michael Goss’ 1984 work, The Evidence for Phantom Hitch-Hikers, gives me the opportunity to pause and reflect on this formative moment in my involvement with applied investigation in the liminal realm. It’s a timely reissue too, as the influence of researchers such as Jeffery Kripal and my friend George Hansen brings greater focus on multi-disciplinary approaches to contemporary anomalistic studies. Analyzing the phantom hitch-hiker phenomena through the interstices of psychical research and folkloristics, Goss’ methodology implies an important starting point for effective investigation into the night-side of nature. We often make assumptions about common categories like ‘ghost,’ but ask yourself, would you know a ghost if you saw one? As Goss shows in his detailed examination of phantom hitch-hikers, there is a striking difference between folktales or urban legends and personal reports of anomalous experience. If seeing is believing, we should be careful when what we see fits the phantoms found in familiar stories. While there are superficial similarities in terms of experiential themes, i.e. something like encountering an apparition, folktales and urban legends rely on narrative structures and plot developments that are usually missing in reports of anomalous experiences themselves. …paranormal phenomena are more likely to occur under liminal and transitional conditions and around liminal and marginal persons than among more ordinary conditions and people. It is not surprising then that catch valves for the maintenance of cultural continuity and status quo, such as academic scholarship and popular media, would foster normalizing approaches to anomalous phenomena like the phantom hitch-hiker, rounding these encounters off in explainable ways. The mind creates continuity through root structures of information patterning. We see these same structures appear in the artifice of effective storytelling. Good stories stick because they work with the cognitive necessity of pattern recognition. They provide us with a smooth and comfortable movement from introduction of the theme to its conclusion — a person is traveling, encounters a hitch-hiker, they pick them up, hitch-hiker disappears from the car, puzzling over the encounter they later realize that they picked up the hitch-hiker where an accident had occurred, the narrative ends with this revelation which conforms to our need for sensible closure. This sense of closure allows the liminal nature of a liason with an apparition on a lonely stretch of road to be reintegrated into the structure of a culture’s shared worldview. The raw reports collected by researchers lack the strong internal cohesion necessary for this integration — it is only in the urban legend and folk tale that this kind of stock pattern emerges. Psychical researchers usually find that a person encounters an apparition, and…that’s the report. Over the years it has been possible to collate these reports into specific categories, the apparition looked like a loved one that recently passed away, the apparition was solid, the apparition was misty, and so on, but for the most part no meaningful narrative structure fits the majority of what is reported. Anomalous experiences are just that, anomalous. the Blue Bell hill phantom may have been either relocated or regional variations on an old, received motif (folklore) or veritable apparitional encounters which, rightly or wrongly, became associated with the memorized fact of (a)1965 accident. What is more certain is that many of these episodes derived a species credibility or even respectability from the indisputably-real crash. The discomfort of an anomalous encounter entices our curiosity into trying to explain it, and often coincidental events that occur in the area of the phenomena will be drawn in to help with this. In the story of the Blue Bell Hill phantom a local accident becomes narrative ground to anchor what would otherwise be an inexplicable, and almost pointless, encounter. This pointlessness is a theme that researcher and writer Jacques Vallee covers extensively in his work, and is one of the things that frustrates serious researchers who delve into the field of apparitional appearances, be they ghosts, UFOs, goblins, or whatever else — although popular retellings (especially those sculpted for the media) put meaning to these events by attaching them to historical or pseudo-historical facts, the occurrences themselves are isolated by their often absurd incongruity. Ms. Jaffe almost refuses to comment on this story. To her, it is devoid of significant, symbolic data and the style contrasts with the plain, monotonous tone of the other material she quotes. ‘The lack of archetypal features seems to be a criterion of the improbability of the ‘experience’. Another way of saying this might be to describe the thing as too artificial, too much so to even approximate the sort of account readers might concede as veridical. There is a clear credibility gap, then, between the artistically-devised ‘true story,’ which is fiction, and the real life experience it attempts to mimic. Urban legends and folktales have their own unique set of archetypes whose artificial gloss differ from those manifesting in perceived experience. Through careful attention to the symbolic content of the story one can get a better idea for where it stands in terms of being a fictional story or a report where the person truly feels they are relating a real experience that they have had. The picture of a ghost as an immaterial and spectral figure is a familiar tropeof popular media, accompanied by numerous other incidences that are associated with spirit manifestation — orbs, shadowy shapes, or some kind of purposeful, unseen force. However, as type categories these bear more relation to narrative cues than to actually getting to the heart of the experience itself. All of them fall under the category of ‘ghost’ or ‘spirit,’ yet experientially they are quite different. Stories surrounding anomalies often speak more to our concepts of life and death, and to our relationships with the social order and the natural world around us, than they do about the phenomena themselves. When I ventured with friends to find Resurrection Mary part of the draw was that outside of the famed hitch-hiker, the area has actively accumulated numerous other urban legends. Stories circulate of mysterious lights over the waterways that converge there, strange monk like apparitions and a vanishing horse drawn hearse are said to have been seen at the St. James-Sag cemetery down the road. 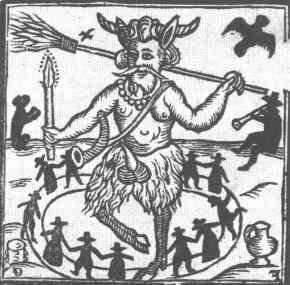 Even the old tale about the Devil appearing at a dance, discovered when his dance partner sees his cloven feet (in Southwestern variations his feet are sometimes those of a chicken), has found a home at one of the local ballrooms. While my search for Resurrection Mary lead me deeper into ghostland, many years later a chance encounter one night with a fellow named Preston would continue to change my understanding of how these patterns emerge and relate to anomalous incidents. “Oh, like what?” he asked. Much to my surprise, he didn’t flinch. Instead, he nodded thoughtfully and said, “I believe in the unknown, because to me, not to believe in the unknown is not to believe in God. I can’t see him, neither, but I know he’s there, and I can see him working.” I nodded, smiling to myself, his attitude echoed that of some of the early members of the Society for Psychical Research. It’s clear from correspondences among the founders, as well as the focus of much of their work, that proving anomalous experience was considered one way to shake things up for the philosophical hold of materialist mechanism that was becoming more prevalent during the late 19th century. “Now, some people are afraid of ghosts,” he continued. “Your dad was born with a caul?” I asked with excitement. A caul, as you may know, is a piece of the birth membrane that can cover a newborn’s head and face. Throughout history it has been popularly associated with second sight, and has often been taken as a sign that a child will have special abilities to heal as well. Preston was telling me that his father had been a local seer and faith healer, born directly into the tradition. It was upon hearing this that I realized just how far popular and academic media had separated me from nearly every traditional tale of the “Other World” that I had ever heard or read. How many urban legends deal with very solid figures that are only later revealed to have origins other than the waking world? Preston’s account was quite different from the stories that had drawn me to Archer Avenue. What exactly is a ghost in this sense? And what does it mean to encounter one? In folktales and reported experience the phantom hitch-hiker is one of the more solid apparitions that people speak of encountering, at least in terms of the scholarly literature on the subject. Goss points out that, “one important aspect of Phantom Hitch-Hikers consists of their not being readily identifiable as supernatural entities, but as living, unexceptional human persons in need of a lift. Consequently, Beardsley and Hankey were convinced that ‘there is a modernity about the elements and the essence of the story…which sets it off sharply from the tales of the past. The most significant of the modern elements is the hitch-hiker’s successful masquerading as a human being.’ This element, they thought, is rare in European ghostlore and the few exceptions do not rely upon it for their impact. The ghost who is sufficiently real to pass for human — the kind most commonly reported in early psychical research journals — was not popularized until the end of the nineteenth century.” Goss systematically overturns these assumptions with clear examples from folklore attesting to corporeal ghosts. There is even a name for this type of apparition –a revenant. Medievalist Claude Lecouteux has written extensively on European traditions of revenants and ghosts, and by drawing on court records, medical reports and other official period documents he too has shown how the veil between corporeal and phantasmal flesh is often rather thin. While Victorian ghost stories and reality television often lead us towards the image of a misty immaterial phantom, traditions which include interacting with the spirit world almost always treat spirit manifestation in fleshy forms. There is a stark contrast between the kind of tropes associated with ghosts in folktales and ‘ghost stories’ and those we find in the living folk beliefs of people whose worldview includes interacting on a regular basis with the spirit world. We can see this very clearly in Preston’s account of his father’s practice as a traditional seer. If we seek other sources we find similar accounts appearing in the work of folklorists such as Harry Middleton Hyatt, who collected folk accounts without starting with a particular theme of interest. The folklorists that Goss references were all studying the narrative structures of folktales, and as such they discovered folk accounts with those narrative forms in place. On the other hand, Hyatt, in works like The Folklore of Adams County Illinois, survey’s general beliefs and comes up with many reports of spirit encounters that fit closer to the isolated accounts found by psychical researchers. When we look for stories, we find stories, when we look for experiences we find experiences. Throughout Goss’ analysis one is given the opportunity to reflect on the nature of our experiential narratives and the effects of belief — as well as how the tools and paradigms used during our investigation help to shape the understandings that arise. Through the interplay of psychical research techniques with folkloristics we are given an interesting clue to how folklore studies, through the functional necessity of gathering and examining narratives, often moves outside the nature of folk beliefs as they are actually lived. For instance, a local recounting a story told about a witch or faith healer, will be quite different than the experiential account of the witch or faith healer themselves. The vanishing hitch-hiker that we are given to observe in the book is a shadow filtered through popular media and correlated anecdotal reports, yet, as I learned from Preston, behind the blinds of literary leitmotiflays a living world of spirits. Having gained more understanding since my foray at the age of 16, comparing the accounts that Preston related to me with the stories that lead me so many years ago into the darkness of Archer Avenue in search of Resurrection Mary I can clearly see the divergence of experience and legend. As Goss’ own examination shows, diving into first hand personal accounts we suddenly find that the tight categories which satisfy the needs of a good story are not necessarily those found in actual reports. In future articles we will go ‘off trail’ and into the wild wood of history with our investigation. We’ll turn off the lights, drive a bit slower and focus on exploring with more detail what we can discover from phenomena such as the phantom hitch-hiker when we move away from the constricting atmosphere of categories like ‘urban legend’ and dance into the areas where experiential accounts fit with older understandings of the thinly veiled borders between the wide roads of the waking world and the darkened paths of ghostland. Note: Special thanks to Red Wheel/Weiser for the opportunity to enjoy these reflections through Michael Goss’ book The Evidence for Phantom Hitch-hikers — for more information on the book, visit their website. This article originally appeared in a slightly modified form on the web-magazine Reality Sandwich and later Modern Mythology. On Saturday, June 15th, join us for an evening of parapsychology lectures and discussion with George Hansen, former parapsychology researcher and author of The Trickster and the Parnormal. The scientific investigation of psychic phenomena will be discussed—from the rise of Spiritualism in 1848, to the founding of the Society for Psychical Research in 1882, to the laboratory research and the U.S. government’s psychic spying program of the 1970s and 1980s. Methods, findings, and applications of research will be discussed, including some examples from Hansen’s own research. The rise of organized attacks on paranormal research and belief will be covered. 8 pm The Decline of Parapsychology, or Whatever Happened to Parapsychology? About 1990, U.S. research in parapsychology began a steep decline. Laboratories closed, attendance at professional conferences dropped, the average age of attendees trended strongly upward, and professional journals became thinner. This failure to flourish can be understood in terms of rationalization and disenchantment—concepts developed by sociologist Max Weber. Openness to, and engagement with, paranormal phenomena is rarely found in the large, hierarchical organizations of government, academe, business, or religion. The side effects of psi phenomena will be discussed. Those effects are often overlooked, but they lead to the paranormal’s marginalization in our culture. Although parapsychology is now nearly moribund in the U.S., growing paranormal interest is found in the academic fields of religious studies, anthropology, and studies of Western esotericism. George Hansen was professionally employed in parapsychology laboratories for eight years—three at the Rhine Research Center in Durham, North Carolina, and five at Psychophysical Research Laboratories in Princeton, New Jersey. His experiments included remote viewing, card guessing, ganzfeld, electronic random number generators, séance phenomena, and ghosts. His papers in scientific journals cover mathematical statistics, fraud and deception, the skeptics movement, conjurors in parapsychology, and exposés of hoaxes. He has been active in a number of psychic, UFO, and New Age organizations, and he helped found a skeptics group. He is a member of the International Brotherhood of Magicians.